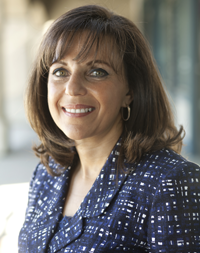 Dr. Fahmy has over 26 years of dental experience. He started out in medical school but was inspired to enter the dental profession because of his brothers. 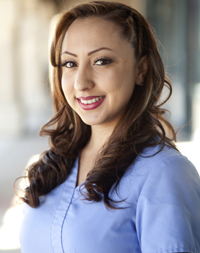 Dr. Fahmy enjoys the artistic aspect of dental care and orthodontic services. He loves to help patients attain a beautiful smile through cosmetic dentistry and takes the time to provide detailed explanations on maintaining oral health for a lifetime. 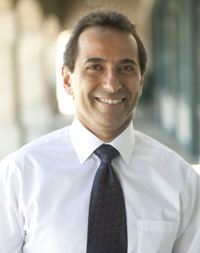 Over the years, Dr. Fahmy has earned certificates from a variety of dental schools and symposia, including USC, UCLA, UOP, and UCSF. These certificates are in the fields of endodontics, periodontics, oral surgery, cosmetic dentistry, implant dentistry, and laser dentistry. His knowledge and experience in all these fields make it possible for him to customize a specific treatment plan for your individual needs. Every person is unique and so is the attention he or she gets. Dr. Fahmy is married with three kids ages 18, 15 and 10. He loves his family and spends time outdoors hiking and visiting different national parks. His hobby is playing squash, which is a fast paced racquet ball game that he has been playing regularly since age 16. It keeps him fit, upbeat,t and in good spirit all the time. A southern California native, attended UCLA where he graduated with a B.S in psycho-biology. After receiving his diploma Dr. Abed moved to Boston, attending dental school at Harvard University and received his D.M.D. During this time Dr. Abed had the opportunity to spend one month at the dental school in the heart of Paris, France gaining a whole new perspective on the profession. After dental school he moved to Dallas where he began his orthodontics specialty training at Baylor College of Dentistry. At Baylor, he learned the most advanced techniques in orthodontics and received his orthodontic degree in addition to earning a masters degree in oral biology. During his education path Dr Abed conducted several research projects, authored three research articles, and presented his finding in several cities around the country. In his free time Dr. Abed loved to travel, having visited many countries around the world, exercises routinely, plays sports, cook, and spend time with the family. 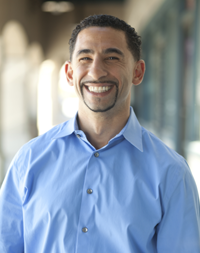 He is energetic and personable and is committed to making orthodontics a fun experience for everyone involved. I am Elva. I meet you first. I am the front office manager. I do my best to make you feel comfortable before, during and after your dental visit. I handle most of your insurance claims and billing questions. My name is Manal. I am in charge of the computers and the technology in Dr. Fahmy’s office. I am also a customer service specialist, and I am always happy to address any of your concerns and to answer your questions. My name is Priscilla. I have been working with Dr. Fahmy since 2007. My interest in dentistry began back when I was a teenager in braces. 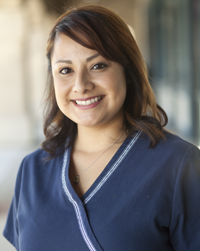 I started to notice that the changes in my smile gave me confidence, so I chose to become a dental assistant. A smile can tell a lot about a person, which brings me to believe that a person’s smile means everything. I care very much about health and hygiene, and I have a passion for helping others. I am Laura. I am a dental assistant. I enjoy giving our patients a good dental experience, especially those who had a bad one in the past. I like to be gentle and attentive to patient’s needs. 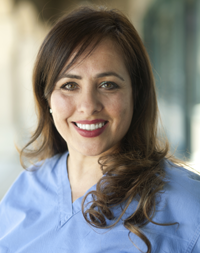 My name is Miriam, and I have been a dental assistant for the last 11 years, beginning as a general dental assistant then moving onto orthodontics after 5 years. 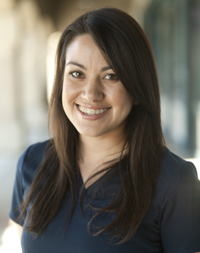 I love being an orthodontic assistant since I play a large part in transforming a person’s smile. In my spare time, I love spending time with my precious children and amazing husband.